Dr Lui Hock Foong graduated from NUS in 1990, emerging first in his class in the Final Professional MBBS Examinations. He went on to complete his post-graduate training in Internal Medicine with the Ministry of Health in Singapore, before leaving for the UK for his advanced specialty training. Dr Lui has several undergraduate and postgraduate awards to his name. He embarked on his advanced specialist training in Gastroenterology and Hepatology with the Lister Postgraduate Institute in 1995, training at the Royal Infirmary of Edinburgh, the Scottish Liver Transplant Unit and the Chelsea and Westminster Hospital (London). Dr. Lui was appointed as a Senior Consultant Physician & Gastroenterologist at the Singapore General Hospital, before leaving for private practice at his present practice at Gleneagles Hospital in 2006. He remains a Visiting Consultant with Singapore General Hospital, where he runs the Liver Cirrhosis and Portal Hypertension Clinic, is part of the Liver Transplantation team, supervises Portal Hypertension & Cirrhosis Research and conducts postgraduate teaching. 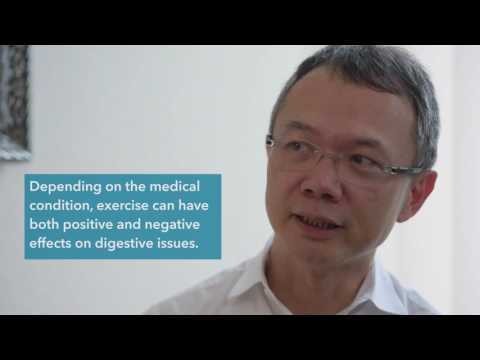 Dr Lui is active in various local and international forums in Gastroenterology. He is Chairman of the National Foundation of Digestive Disease, the secretary of the Gastroenterology Chapter of the Academy of Medicine of Singapore, a member of the Asia Pacific Association for the Study of the Liver Working Party on Portal Hypertension, the immediate past Editor of GutViews which is the publication arm of the Gastroenterological Society of Singapore, held 2 terms as Scientific Chairman of the Gastroenterological Society of Singapore and is a member of the European and British Associations for the Study of the Liver. Dr. Lui’s clinical interests include hepatology, liver disease, liver transplantation and general gastroenterology.